With the huge success of Crossfit more and more women are "hitting the weights"
Almost 80% increase in deadlift performance in "elite powerlifters" with 7 ± 3 yrs of training experience and a mean age of 34 ± 5 yrs and a mean body mass of 94.4 ± 16.7 kg? That's catching your attention, right? Now, what would you say that there was no magic supplement involved and that the periodization routine the researchers prescribed to their 9 male study participants is far from being revolutionary? You're still interested to learn more? Even if I tell you that the baseline lifts don't look very elite, rather average, though? Let's see, then, what the subjects had to do during their three weekly 120min training sessions. ALA + Creatine = Max Uptake? As the graphical overview in Figure 1 shows, the subjects trained in four mesocycles, each of them lasting for four weeks (although the fulltext does not mention this, I assume that the subjects did all three exercises in all sessions - how else would you spend 120 training minutes?). Well, if we are honest, this is not 100% exact. The last of the four mesocycles was actually further devided into two 2-week and one 1-week microcycles... but I guess, it's best you check out the details in Table 1 for yourself. I am not sure how familiar you are with classic powerlifting programs, but I personally wouldn't call the above scheme "revolutionary". What I would do, though, is call the results it produced over the course of the 16-week study period "damn impressive!". 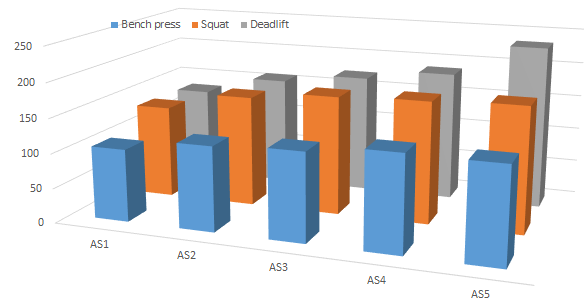 Overall the researchers recorded highly significant strength increases of 31.7kg, 45.0kg and 101.7kg in the three major powerlifting exercises, the bench press, the squat and the deadlift, respectively. Tapering is a must for professional athletes before an event like the Olympic games - learn how to do it in a previous SuppVersity article. Bottom line: Assuming that strength (not size - that may need a higher volume and lower rest times) is your main goal, you may want to spend the next four months doing exactly what Table 1 tells you to do. Assuming that you're eating clean (and enough), it would be a real stroke of bad luck if you didn't increase all your major lifts... well, a stroke of bad luck or the inability to recognize that the real "strength explosion" occurs only, when you are reducing volume and intensity of at the end of mesocycle four and the subsequent ignorance towards the worth of layoff phases and weeks of well-deserved rest. Simão, Aylton Figueira Junior. 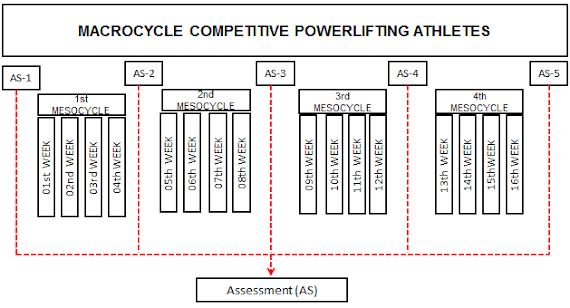 "Effect of 16 Weeks of Periodized Resistance Training on Strength Gains of Powerlifting Athletes." (2014).